It is important for a blockchain to have good participation, a small blockchain with a limited number of participants can be a waste of resources. This has given rise to the concept of industry based blockchains. Projects like GLITZKOIN are promoted for the benefit of an entire industry, in this case the diamond industry. An industry would be composed of many companies that perform similar functions and produce similar products. The garment industry for example, would include numerous factories that make various types of garments. A blockchain for this industry would aim to bring all these factories and business houses on the blockchain. A blockchain could be limited to an industry within a country or could go beyond geographical borders. 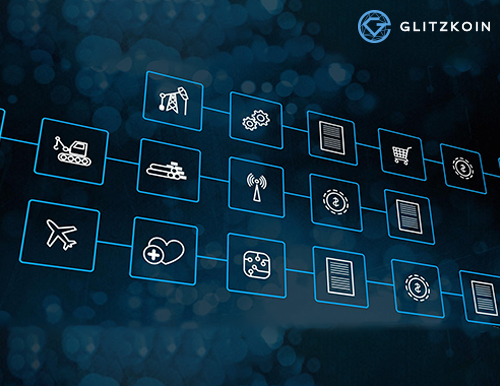 The GLITZKOIN diamond blockchain will allow sellers from across the globe to list their diamonds on the platform, similarly buyers located anywhere in the world could buy these listed diamonds. This is one of the few blockchains that is planned on a global scale. Every industry relies on a number of ancillary products and services for its business operations. Packaging, printing, shipping and transport and insurance could be some of these ancillary businesses. By putting ancillary providers on the same blockchain as the main industry that they serve, industries could bring the benefits of blockchain technology to small businesses that would otherwise, be left out of a major change. When we talk about blockchains spanning across different industries, it is not necessary that one industry be larger than the other. For example, the entertainment and broadcasting industry could build its own blockchain and include, large telecommunication providers on the same platform. A huge chain of department stores, could have a blockchain that includes all product suppliers. A blockchain can eliminate the need for tediously maintained manual records. This reduces chances of errors and the possibility of fraudulent changes being made on recorded information. Besides improving efficiency, blockchain technology can also ensure accuracy and reliability. Lower overheads will allow for better product pricing, this in turn will have a positive impact on market size. And when this effort is linked across different industries, the benefits are multiplied. It is at that point that, all stakeholders win.